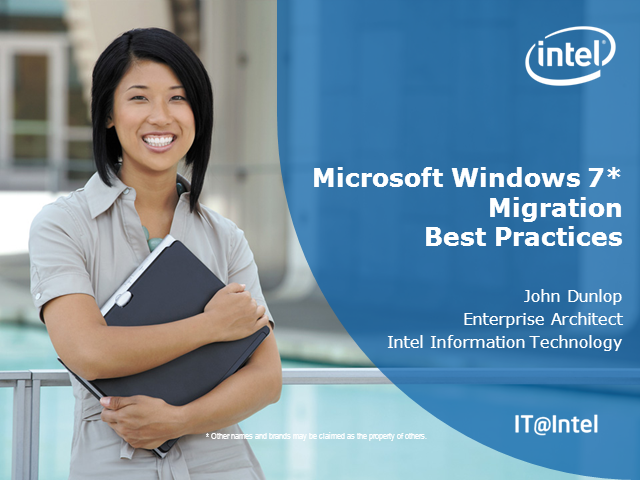 John Dunlop, Enterprise Architect for Intel IT, will provide an overview of Intel IT’s successful Windows 7 operating system migration program. Intel has deployed over 53,000 seats in less than one year and is on track to complete their migration before the end of 2011. Specific topics that will be discussed include Intel IT’s migration program structure, deployment methods and practices, application readiness process, and best practices.